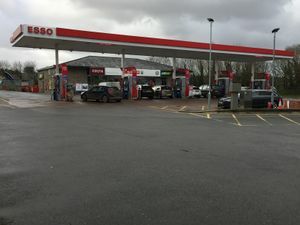 The first service area after the motorway, positioned at what used to be the Merrymeet Roundabout. 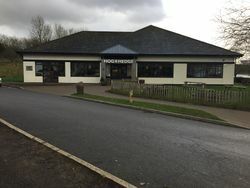 The Hog and Hedge restaurant, situated in the former Little Chef building. The services opened in 1995, with a Little ChefHistory. This gained a Coffee Tempo! and Little Chef Express, but the branch closed in October 2014. The filling station formerly included a Shop 'n Drive. Running through the middle of the service area is an overgrown, abandoned road and building. This is the original alignment of the A382, with a property called Merrymeet.